If this doesn't scream OMG, not for sure what does. This is our popular Victorian Riding Hat a new Covered Lace style. 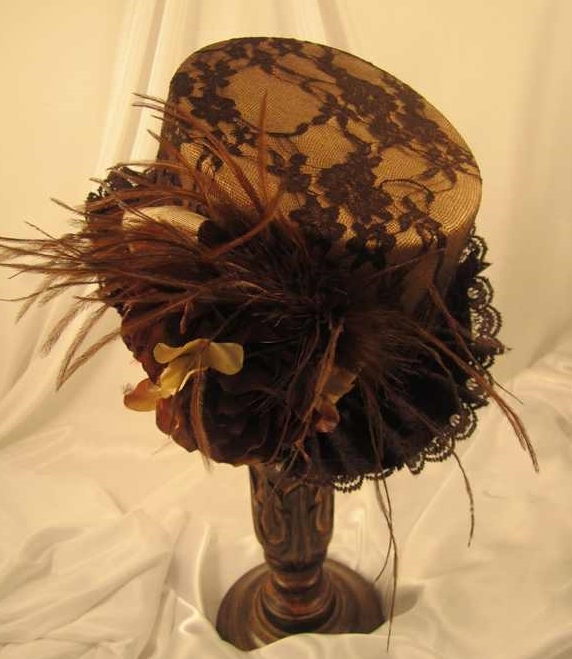 This hat is covered with Brown lace with shirred ruffled lace around the brim, antique bow, Brown & Beige flowers and Ostrich Feathers. All hats are hand made in the USA using custom hand dyed materials to create that unique design.